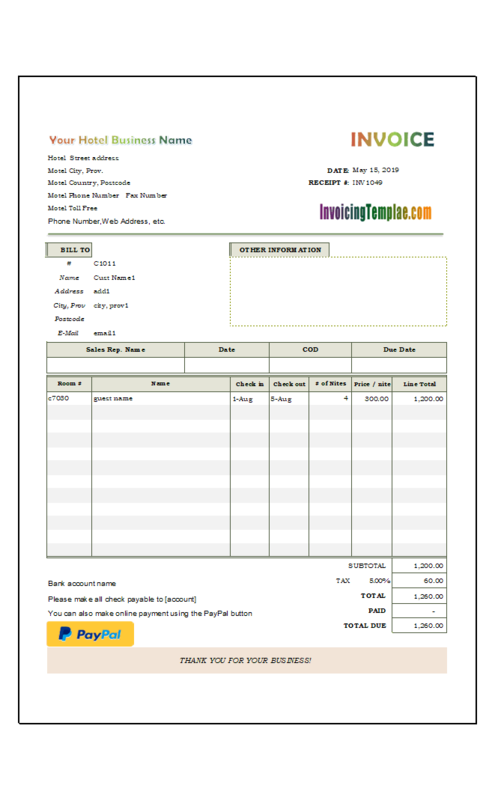 An invoice generator is a tool that helps you to generate invoices and bills easily. 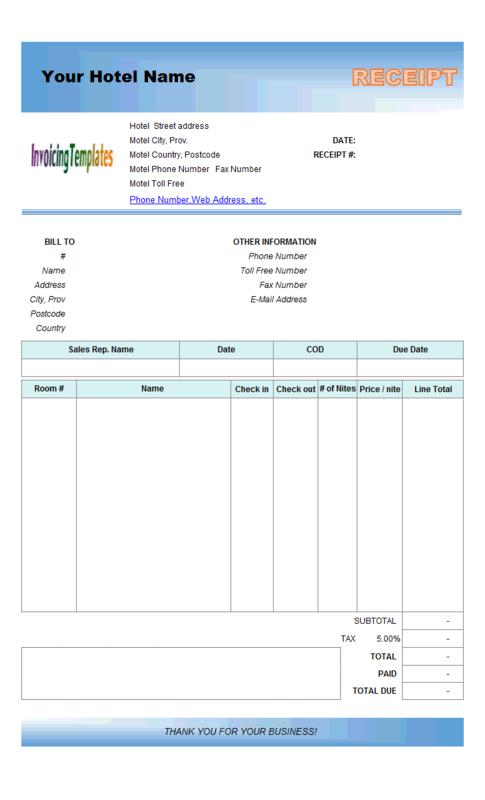 The easiest way to create an invoice is by using a template. 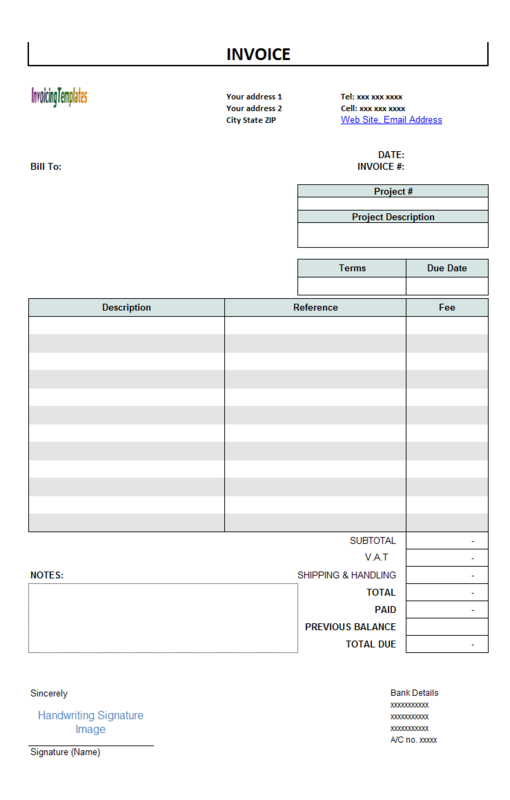 The template provides the basic and essential format and layout, so when creating an invoice all you need to do is to fill the blank fields. 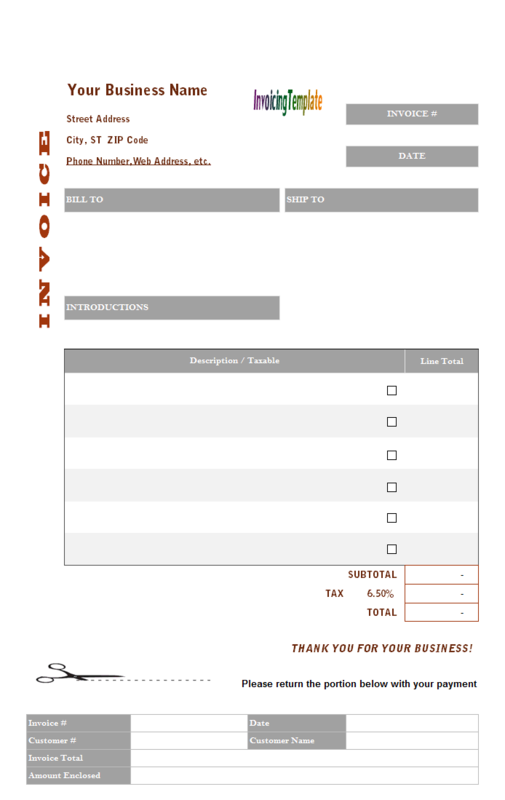 Ideally the template should be able to do calculations of taxes, discounts and totals. 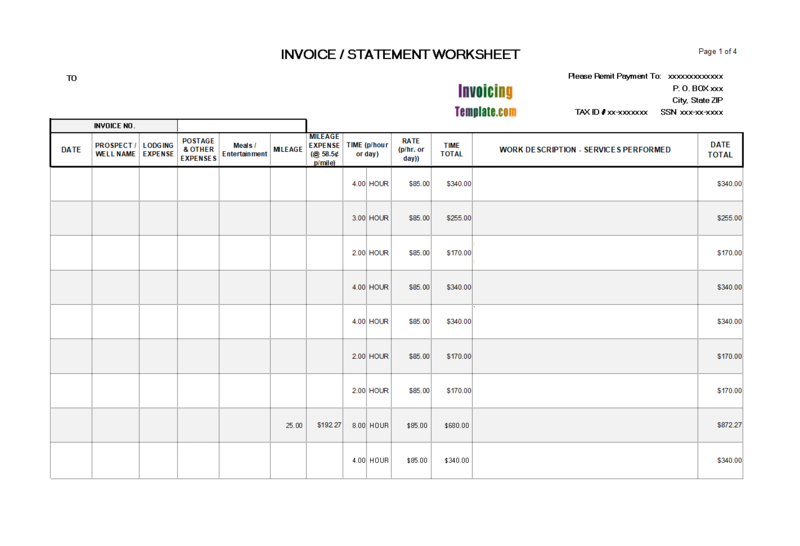 Our free Excel invoice generator templates published here on InvoicingTemplate.com meet the above requirements. 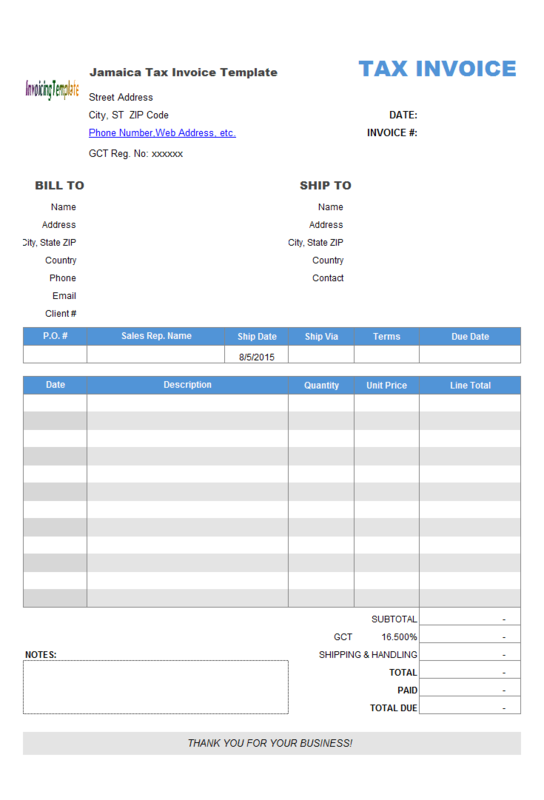 While there are Word invoice templates available on the Internet for free, Excel is far better in doing calculations, which make our templates the ideal free invoice makers. 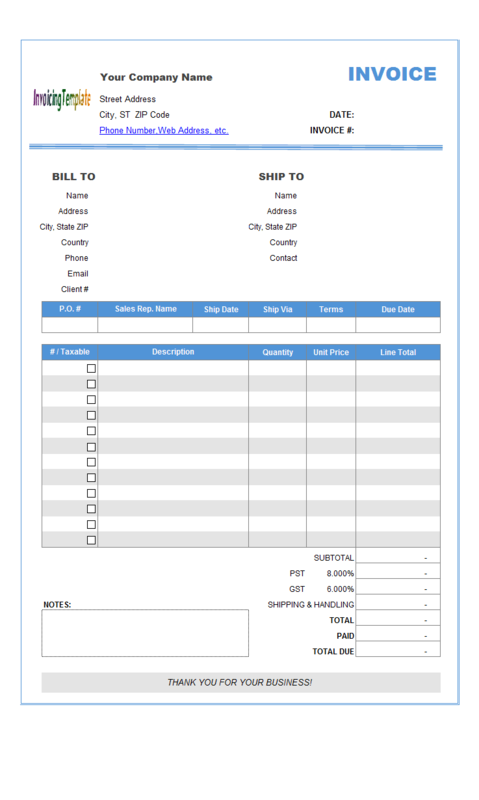 Why choose our invoice creator template? 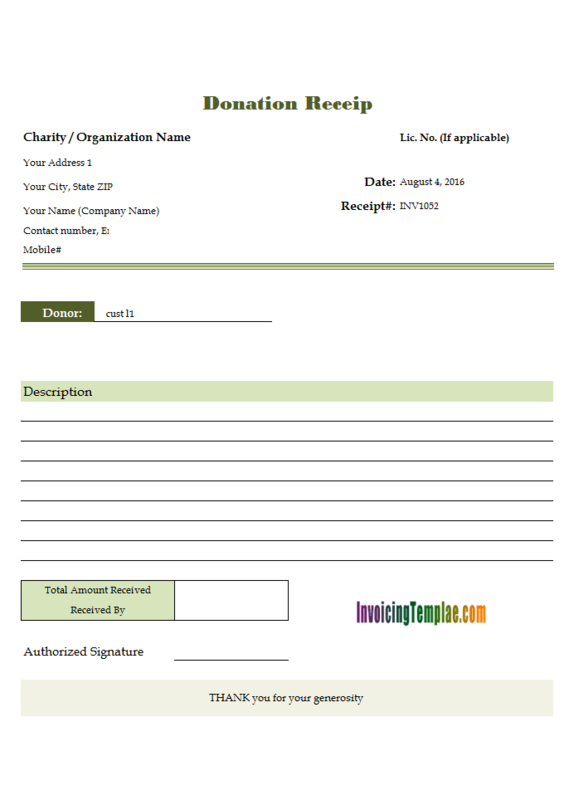 Today we have hundreds originally designed templates published here on InvoicingTemplate.com. Unique designs. All templates are created by our staffs. Intuitive and easy to use. Our generators are designed in a what-you-see-is-what-you-get way. 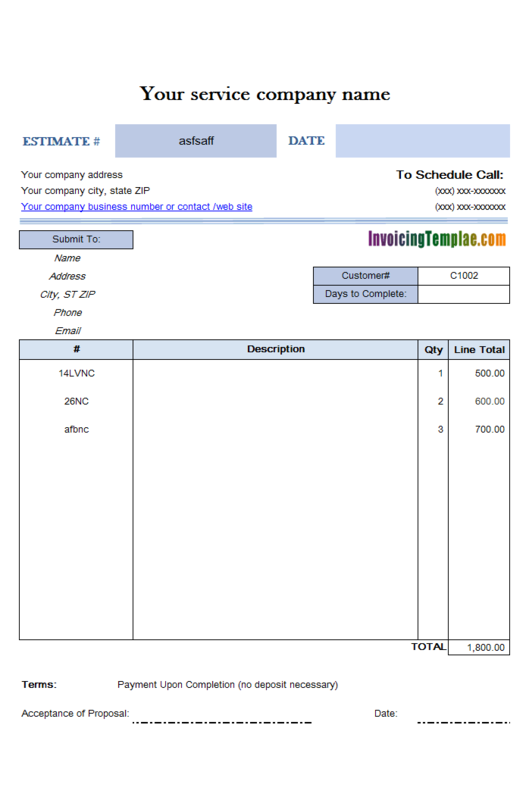 Creating invoices in minutes even you are new to invoicing. Upgradable. 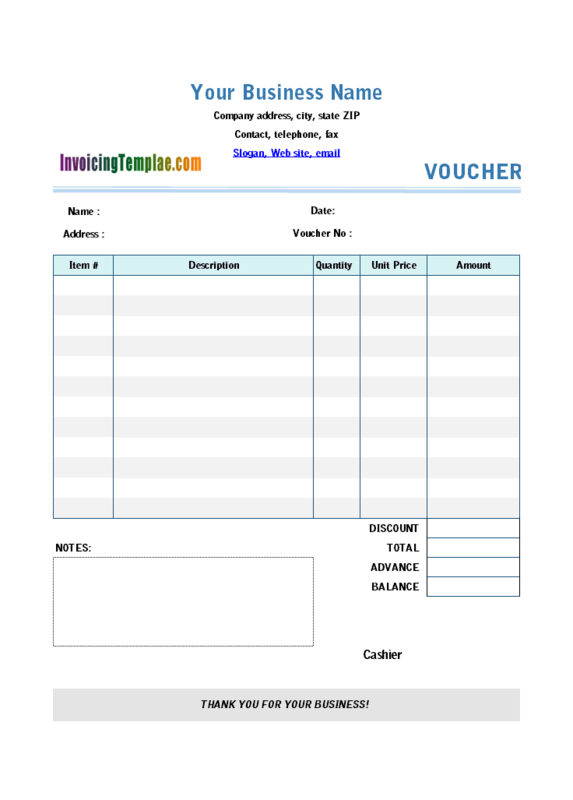 If a simple invoice generator is not enough as your business grows fast, simply download and install Invoice Manager for Excel (namely Uniform Invoice Software). 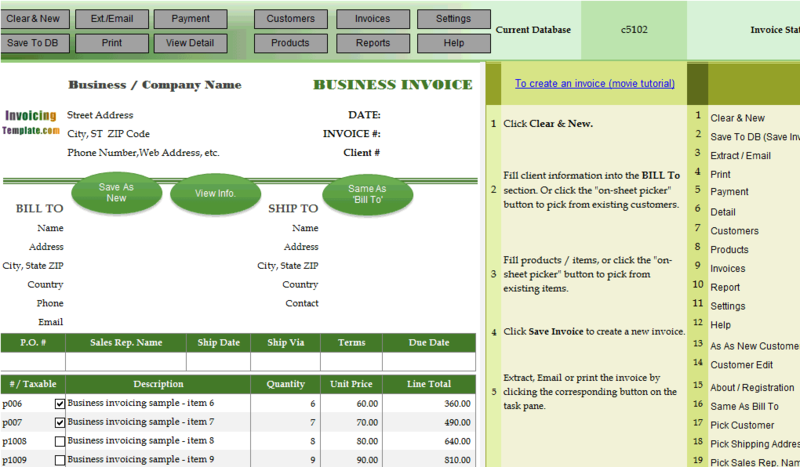 The template becomes a powerful invoicing system. 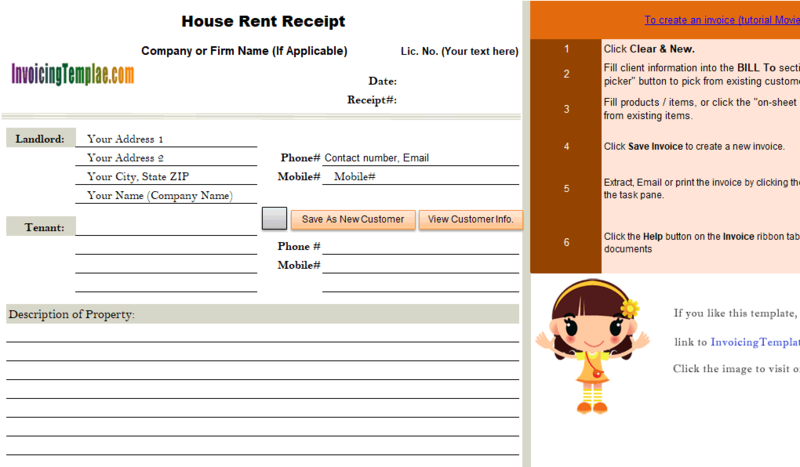 Watch our movie tutorial to find out how to create invoices easily. 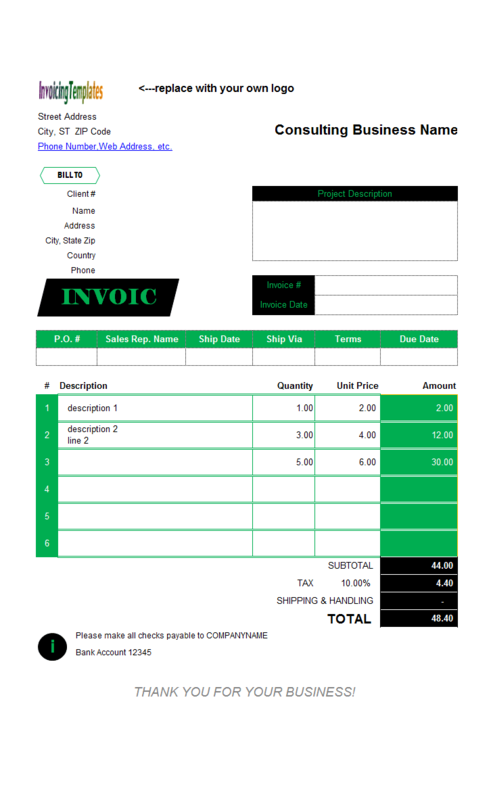 Best of all, if you use the Enterprise edition of Invoice Manager for Excel (namely Uniform Invoice Software), our invoice template is able to connect with online database. 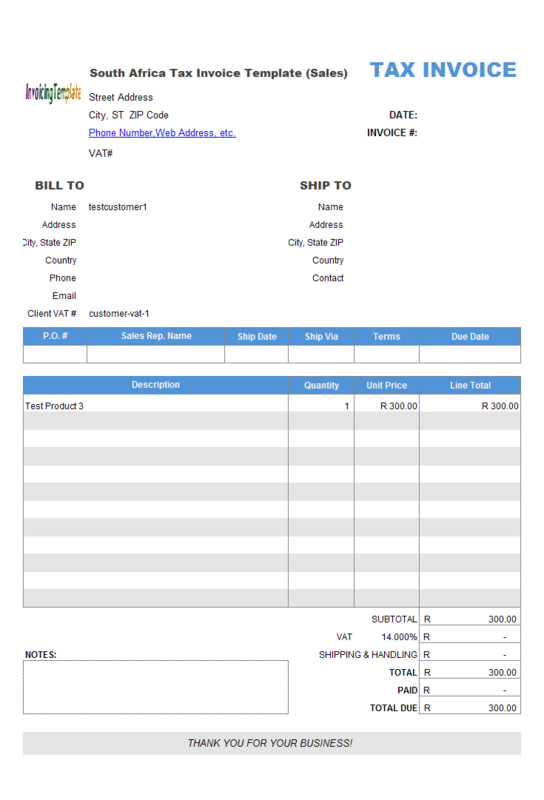 This way, the online invoice generator allows you to share data with mobile devices. 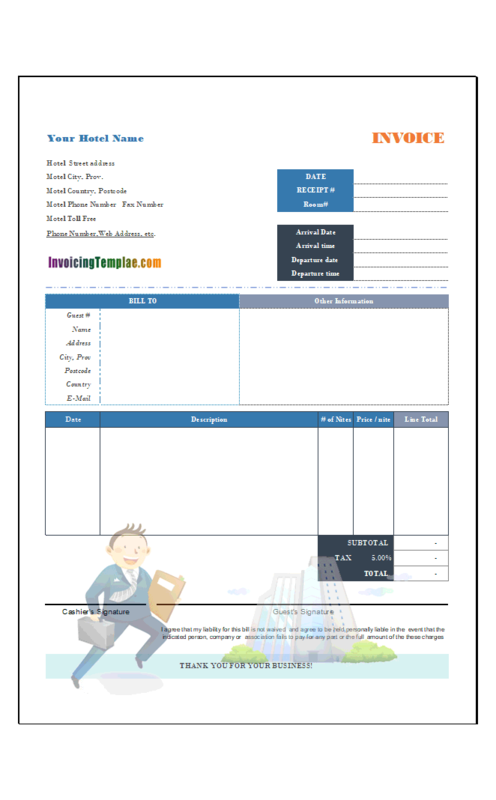 Excel Invoice Generator Template - 20 Results Found is a sub-topic of Excel Invoicing Templates . 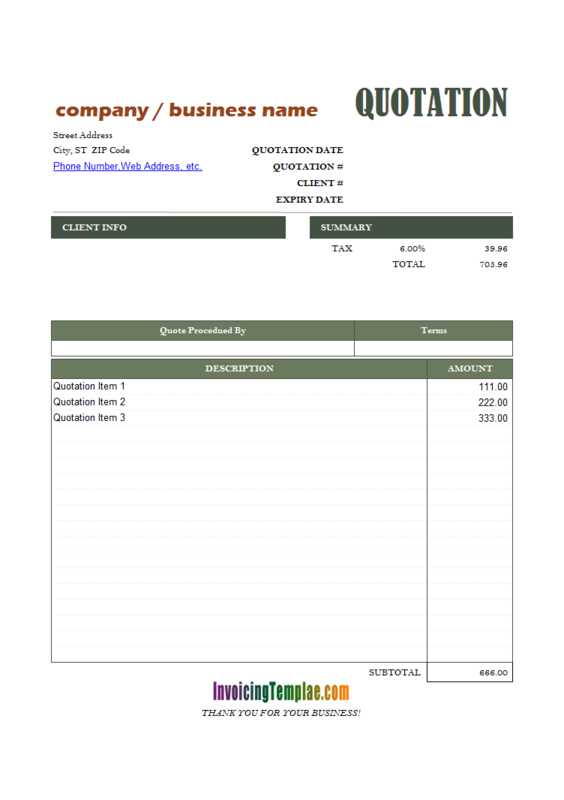 Here are our templates closely related to Excel Invoice Generator Template - 20 Results Found. 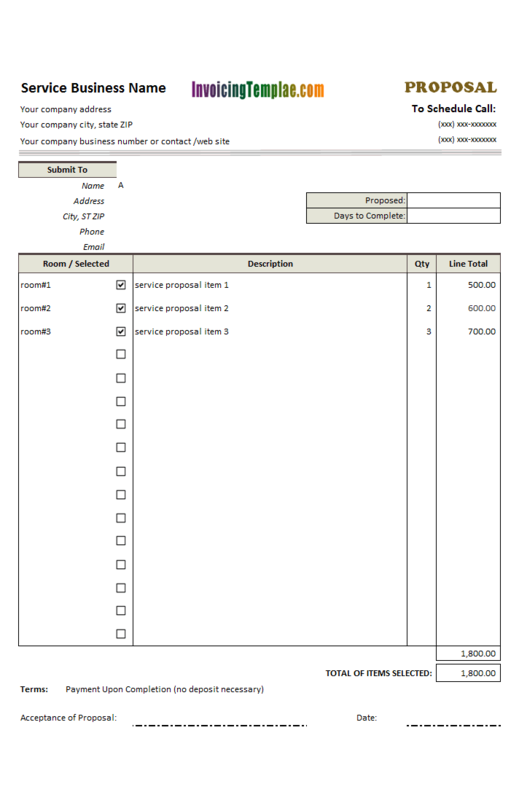 As a business document, an invoice sent by a business to a client to denote an obligation to pay for goods or services. One of the most important fields is the total amount to pay. 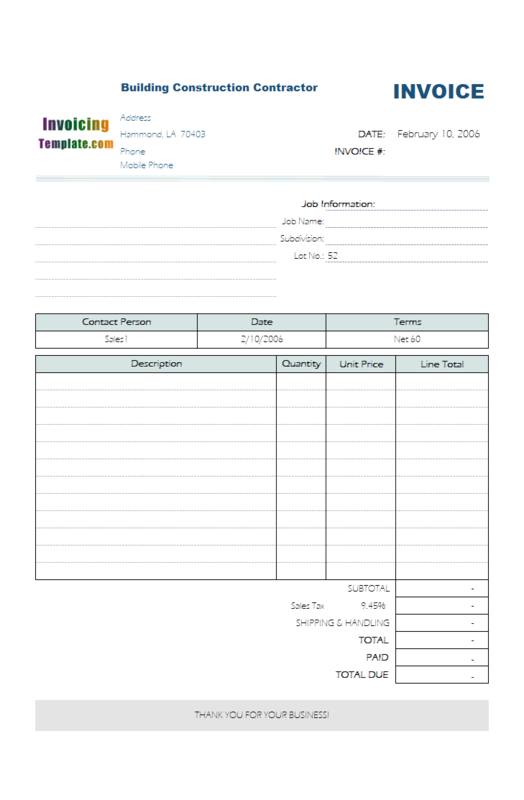 This sample invoicing template shows you how to show the invoiced total in English words. 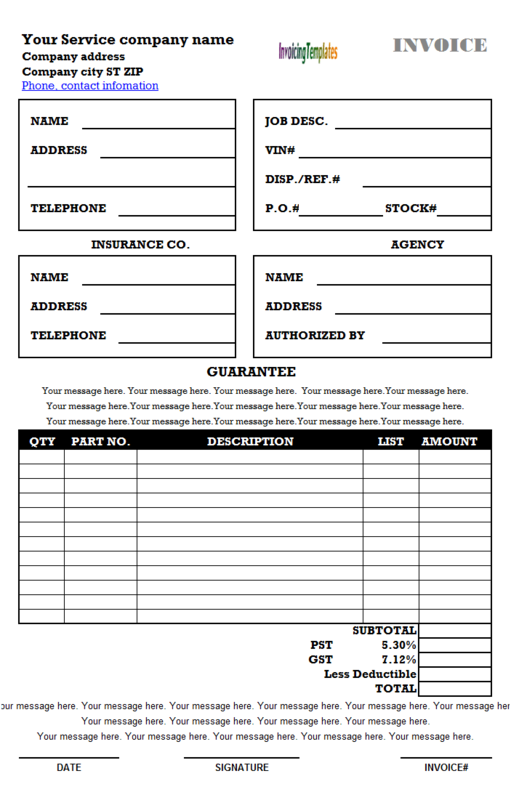 First, to convert an ".xlsx" invoice template into ".xlsm" format, follow steps below. 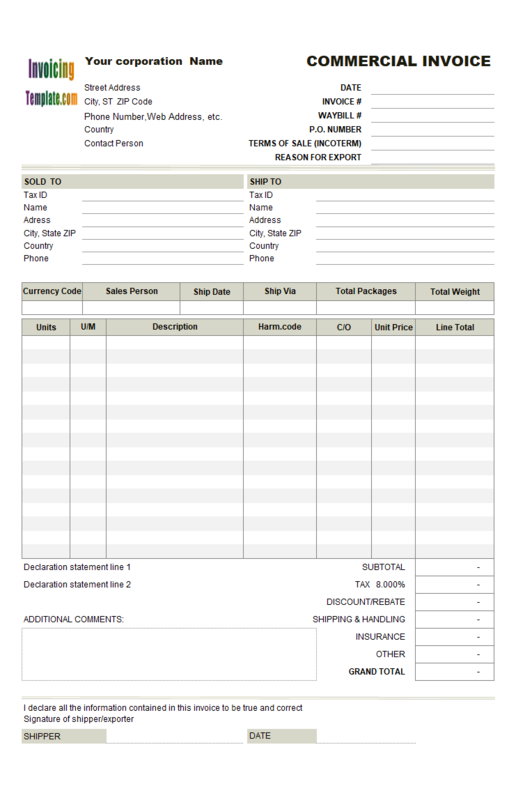 Proforma invoices, issued by vendors, are commonly used in international trade to provide buyers and the import/export authorities to officially declare the value of the trade. 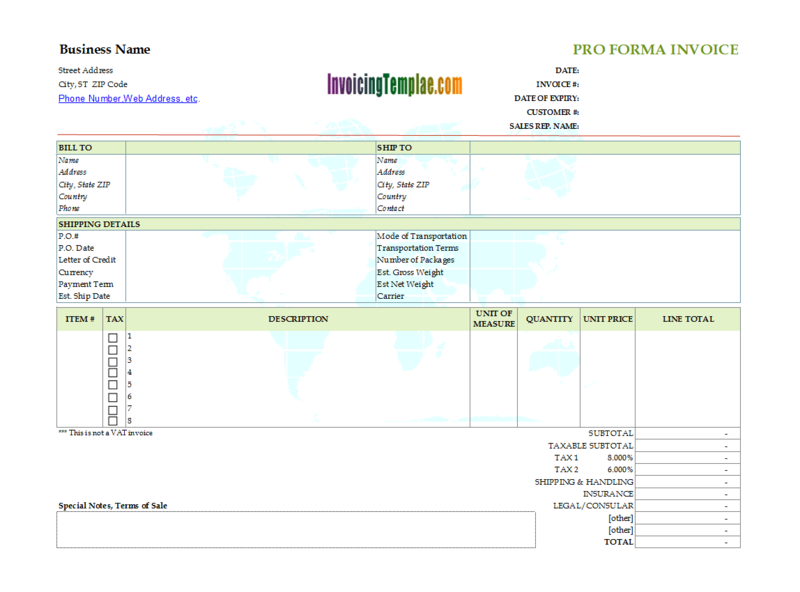 Proforma Invoice with Printable Earth Map Background is a revised version of our original pro-forma invoice template. 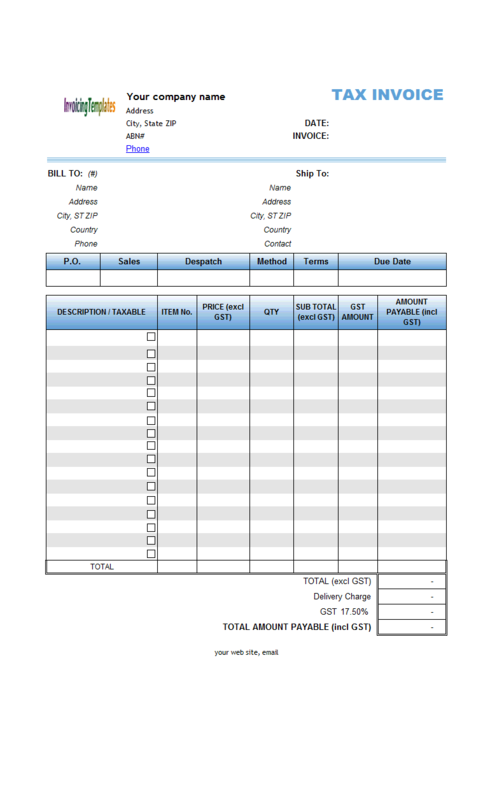 According to Australian Taxation Office, tax invoices for sales of $1,000 or more need to show the buyer's identity or ABN. These invoices are also called ABN tax invoices. 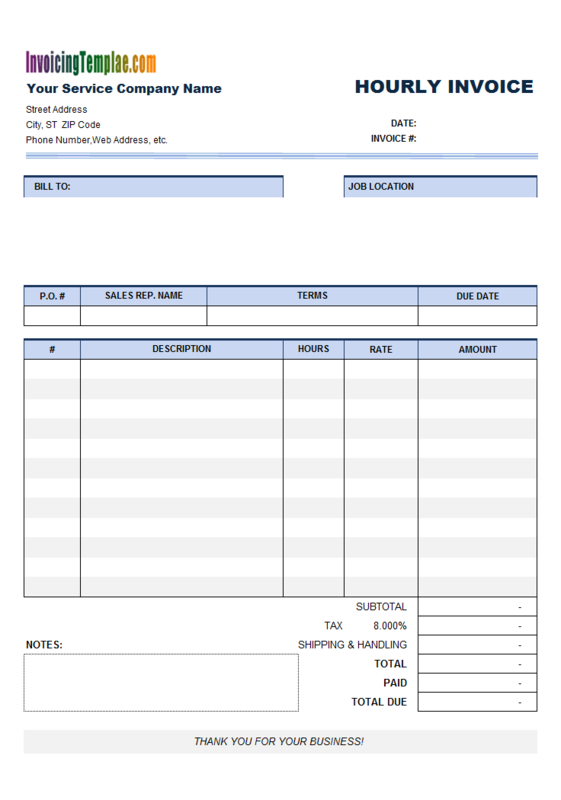 This ABN tax invoice template include space for you to detail the ABN codes for your business. As SARS (South African Revenue Services) states, any person that carries on a business may register for VAT. The term person is not only limited to companies but also includes, amongst others, individuals, partnerships, trust funds, foreign donor funded projects and municipalities. In order to register, an application form must be completed and a specific process must be followed, both of which you can find on the SARS web site. It is mandatory for a person to register for VAT if the taxable supplies made or to be made is, in excess of R1 million in any consecutive twelve month period. 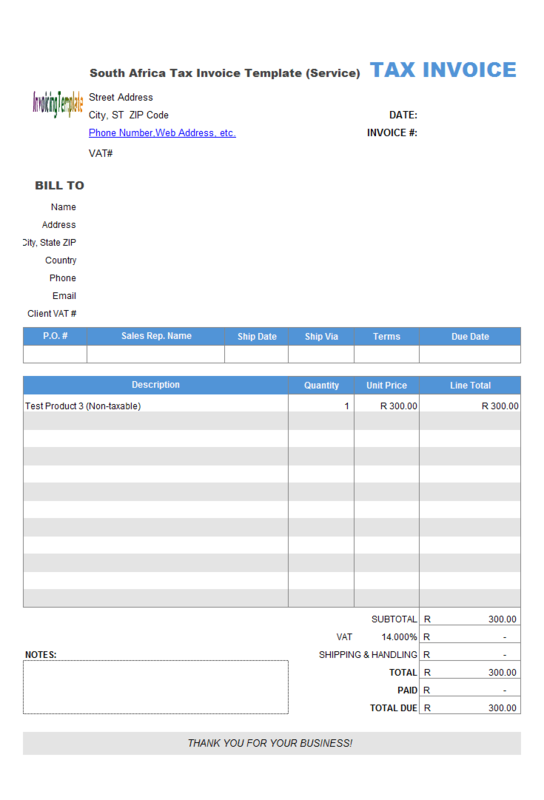 The invoice template has an image located on the top-left corner of the form that serves as a placeholder for your own company or business logo. 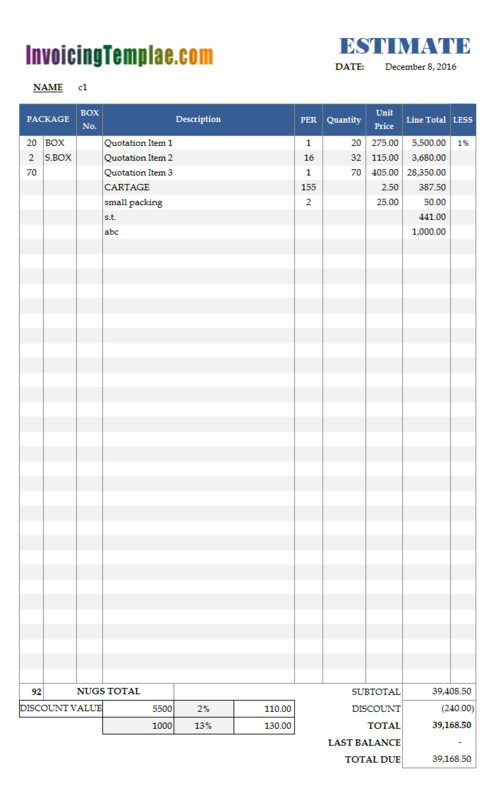 To do this, simply unprotect the Invoice worksheet and then switch to design mode. Then, right-click the default logo image and choose Properties. Click the '...' button on the Picture property to browse to and use your own logo image. You can also delete the logo image completely if you don't need it. 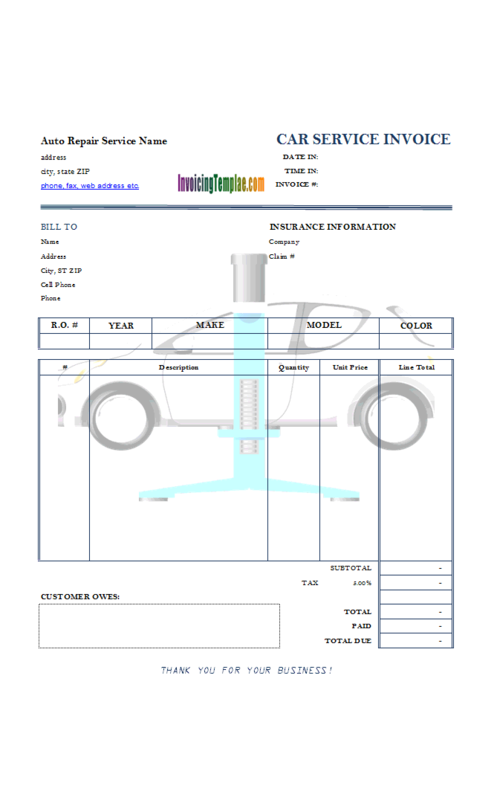 To do this, while in design mode and the Invoice worksheet is not protected, click the image to select it, hit DEL key on your keyboard to delete it. 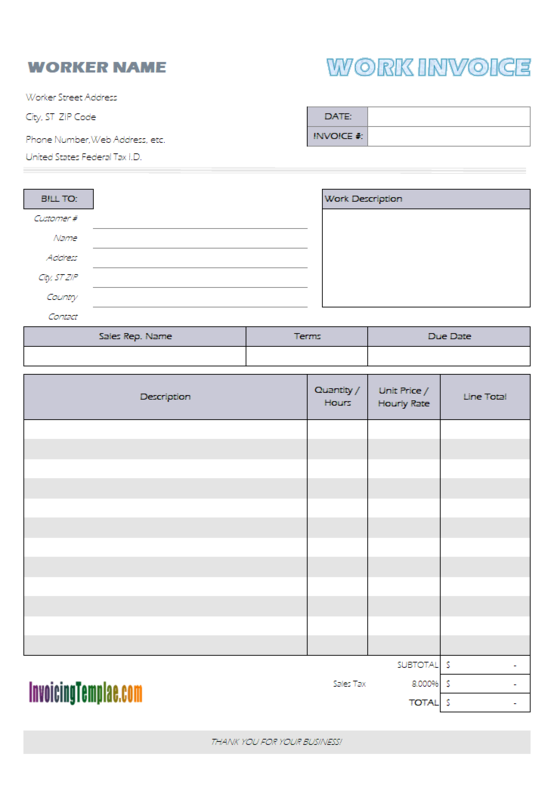 Next are 4 fields for you to fill in: Purchase Order #, Sales Person Name, Payment Term, Payment Due Date.